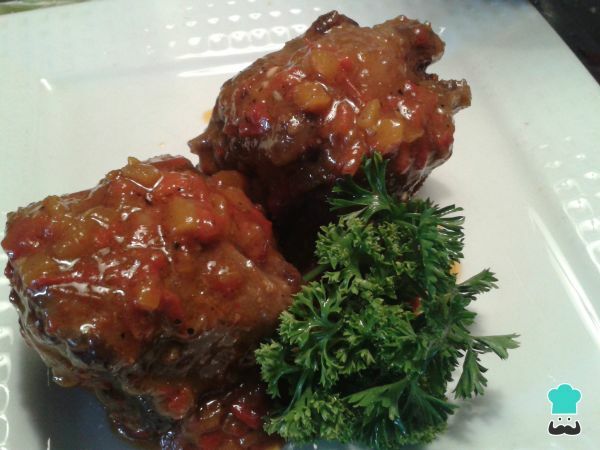 Follow the step by step of this typical recipe of Spanish food and learn to prepare oxtail. An aromatic stew with a lot of flavor thanks to the wine and the vegetable sauce. 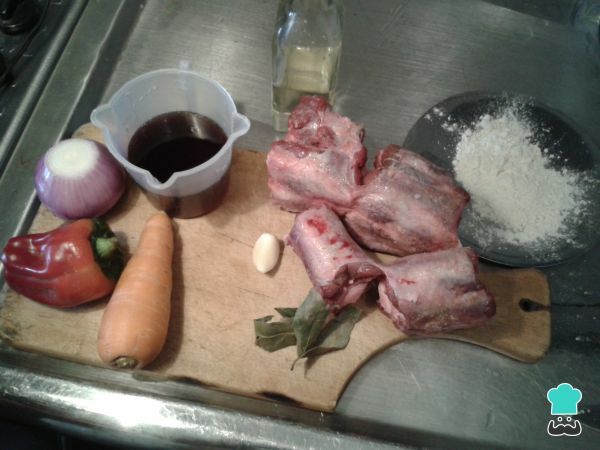 The oxtail is a piece of bull or cow meat that is normally prepared stew, as we teach you in this recipe step by step. 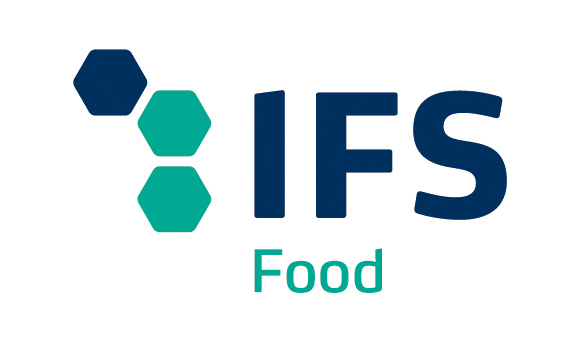 1 Start by preparing all the ingredients to prepare the tail stew. 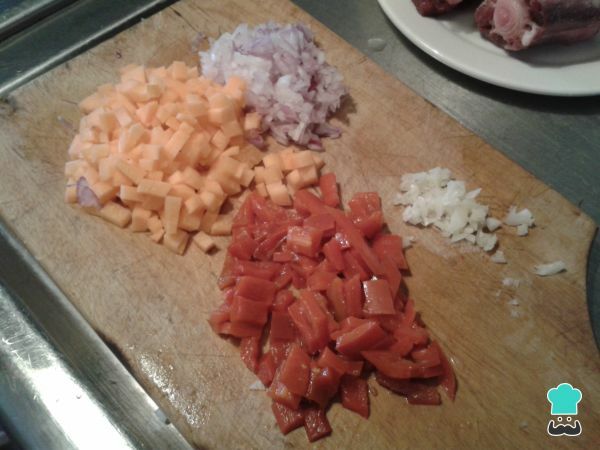 2 Peel and cut the carrot together with the pepper, garlic and onion. 3 In a pressure cooker we put the oil and our vegetables to sauté. 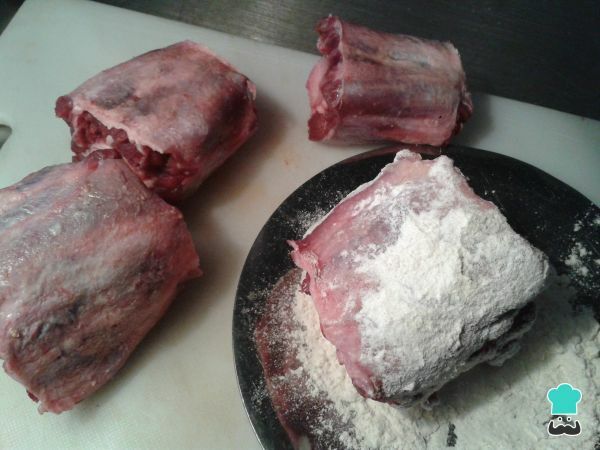 4 We cut the oxtail into four pieces and flour each one of them. 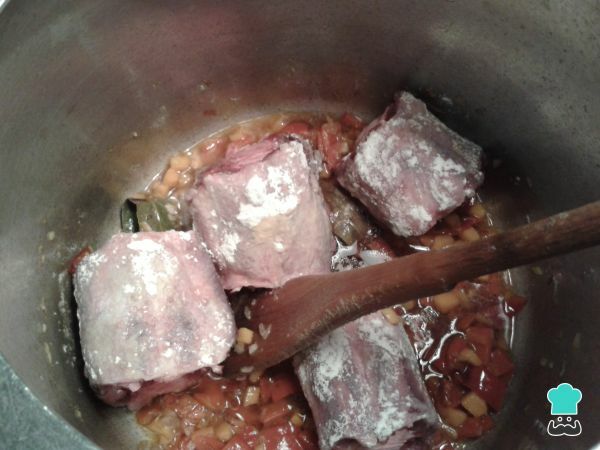 5 Put the pieces of tail in the pot with the ready-to-eat vegetable sauce and let the meat brown a little. Then we incorporate the wine and water until it covers the tail pieces. Cover and let cook for about 2 hours. 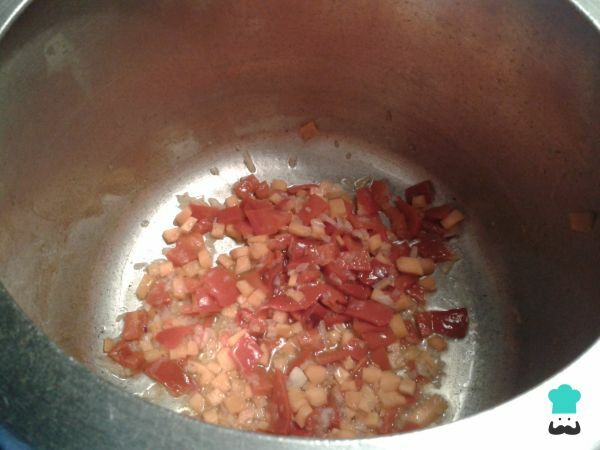 6 I recommend checking the pot from time to time to check the water level and the hardness of the meat, at the end we leave the pot open to reduce the sauce, at that time we rectify the salt and the pepper.